It's Packers Week! In Episode 2, Kevin Fishbain and Arthur Arkush are joined by Hub Arkush to break down the 2015 Bears roster and preview the season opener against the Packers. Is there any way the Bears can pull off the upset? We go behind enemy lines with Green Bay Press Gazette writer Wes Hodkiewicz (14:27) to learn more about the Bears' biggest rival. This week's big topic — why are NFL coaches so darn paranoid? 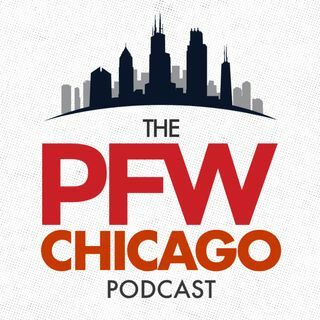 To help us with that, Bears beat writer for the Chicago ... See More Sun-Times Patrick Finley (33:46) joins the show, and the guys discuss their most paranoid tendencies. We finish the show by not only predicting Sunday's outcome, but the Bears' record for 2015.